Welcome home to the Dorchester a quintessential 1940's Pre-War cooperative with lots of charm and character. As you walk in, you will immediately notice the large dining foyer that opens to a bright and sunny sunken living room with high ceilings and a wall of windows facing south-west. 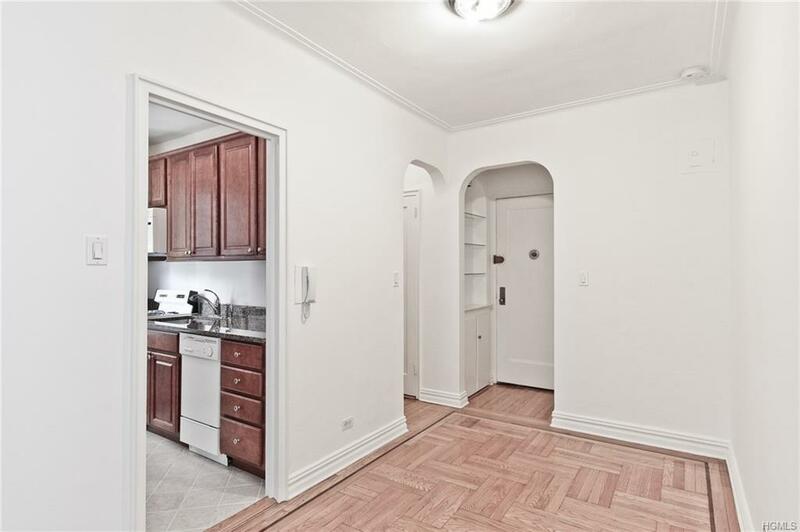 Beautiful in-laid hardwood floors in excellent condition, arched doorways and crown moldings. 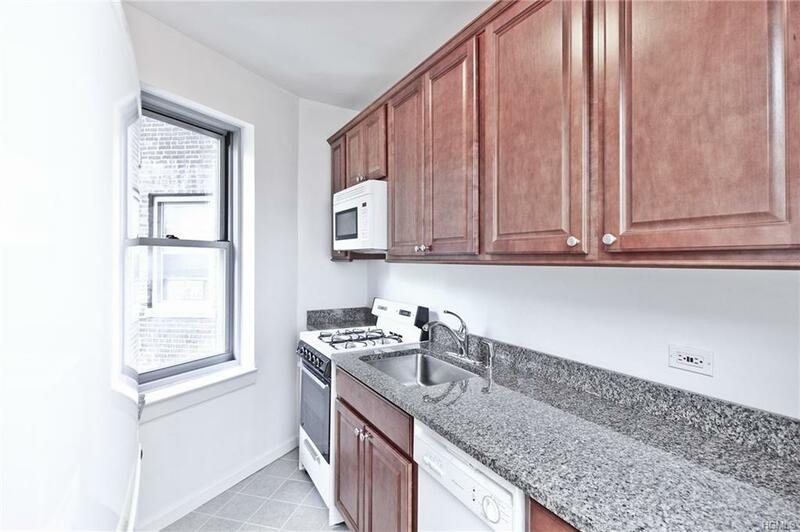 Windowed kitchen features hardwood cabinetry, granite counter tops, full size refrigerator as well as a gas stove, a microwave and a dishwasher. 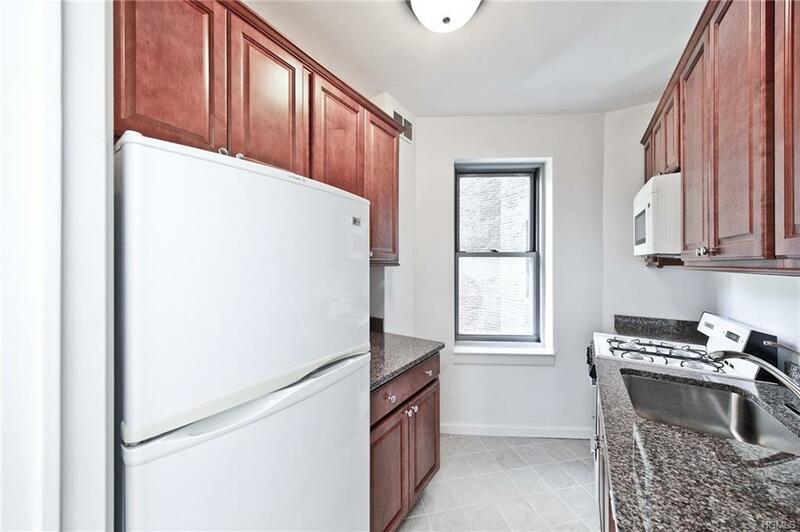 Plenty of closet space and a windowed bathroom that's in a original condition. Low monthly maintenance of $632! The Dorchester features a restored original lobby, elevator, live-in super, laundry room, available storage and a beautiful patio available for residents' use. 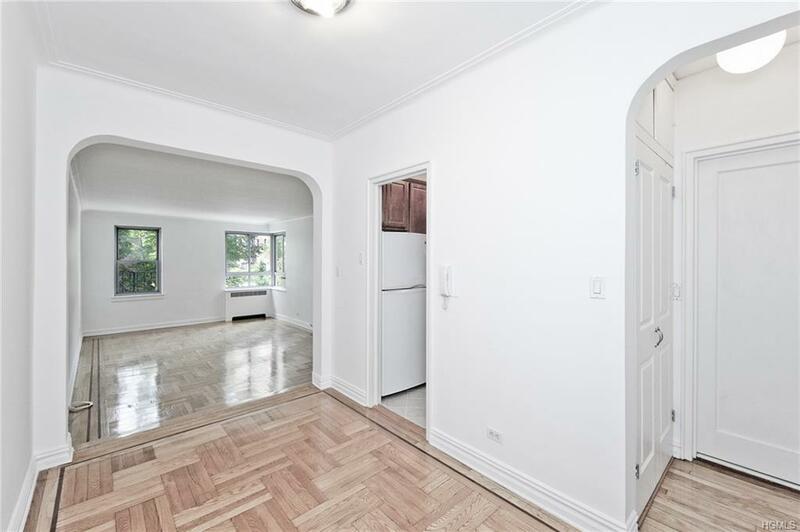 Just outside the door you'll find the W 242 Street stop of the 1 train, as well as express bus to Manhattan and the 1,146 wooded acres of Van Cortlandt Park. All sorts of shopping are also nearby.